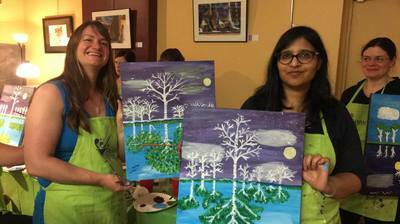 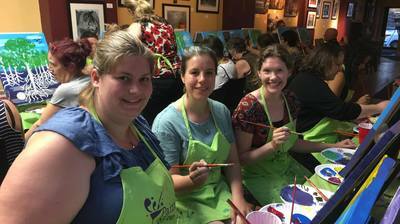 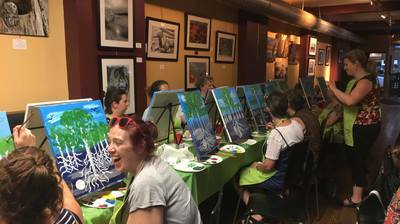 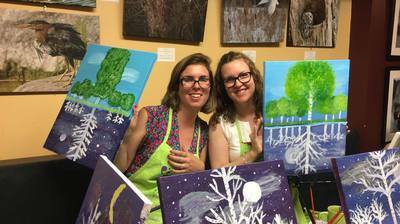 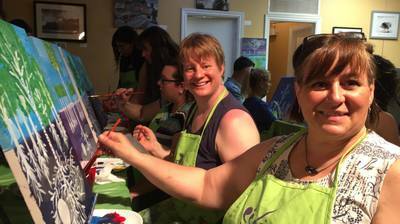 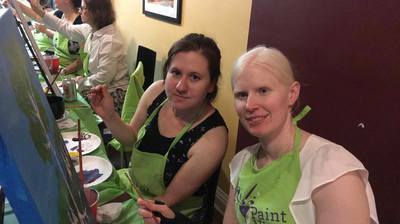 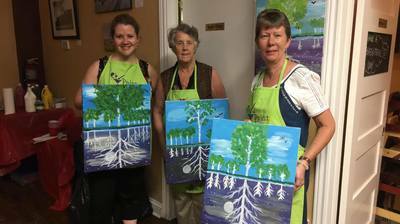 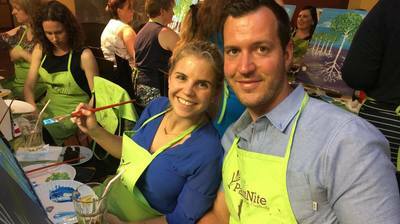 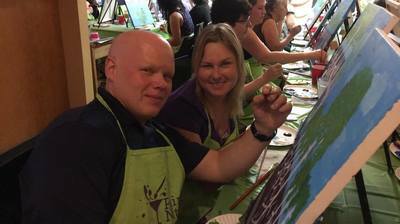 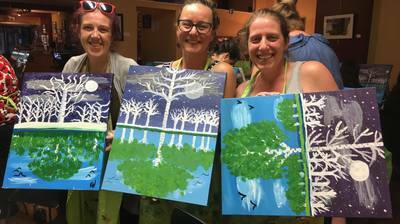 Sparkling conversation, splashes of paint, and savouring sweet treats were the perfect combination for a night out on Monday, June 12th, 2017! It was also an opportunity to support the estimated 1 in 4 women in Ottawa/Gatineau who have or will experience pregnancy or infant loss, and the 1 in 6 Canadians who experience infertility. 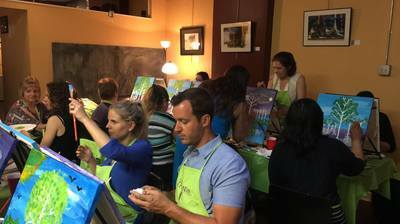 Thank you to everyone who joined us for this sold-out event. From your support, we were able to raise $600 to directly support the cost of the Run. 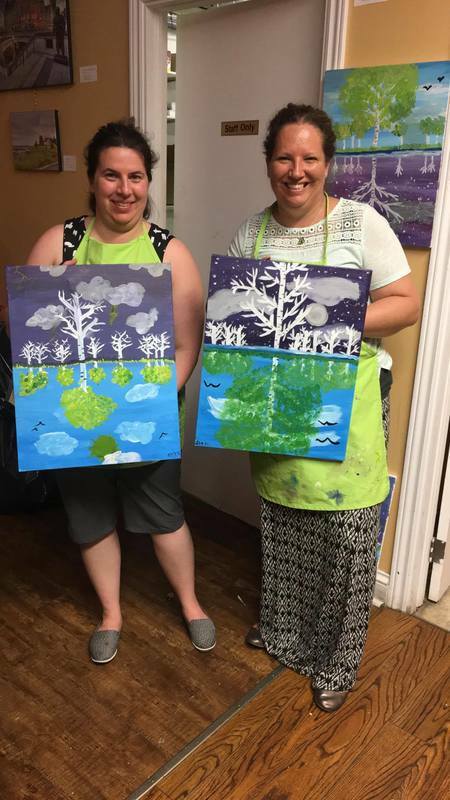 We fundraised to support the cost of the Run itself (to cover the cost of things like race kits), because 100% of registrations to the Run on October 14th 2017 went directly to Roger Neilson House, a program of the Children's Hospital of Eastern Ontario (CHEO). 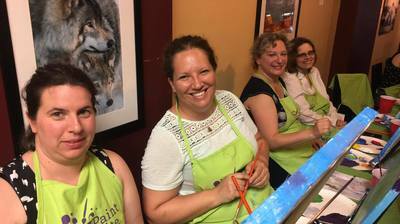 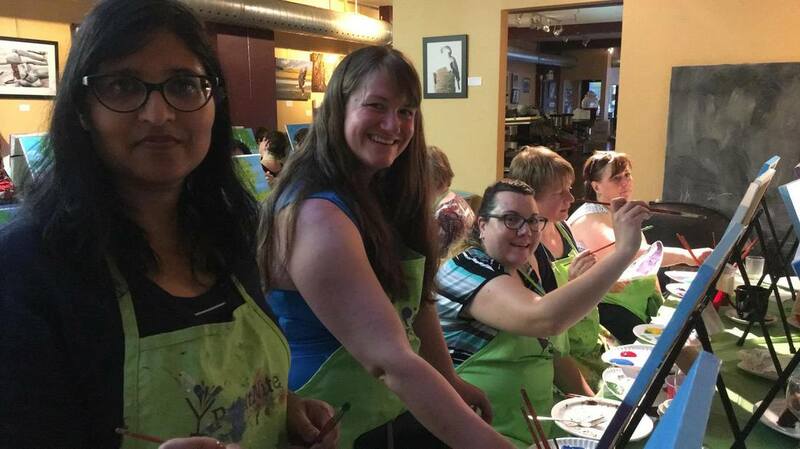 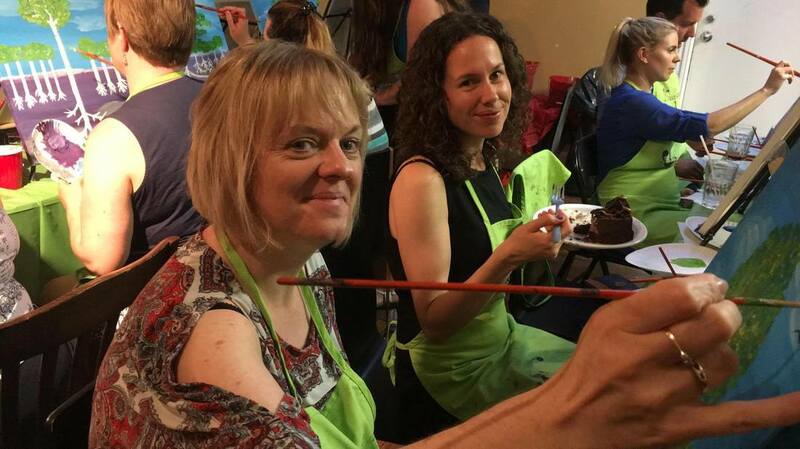 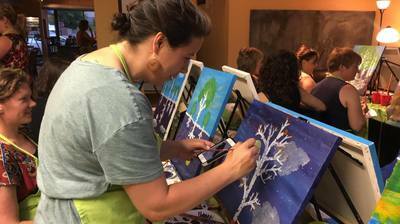 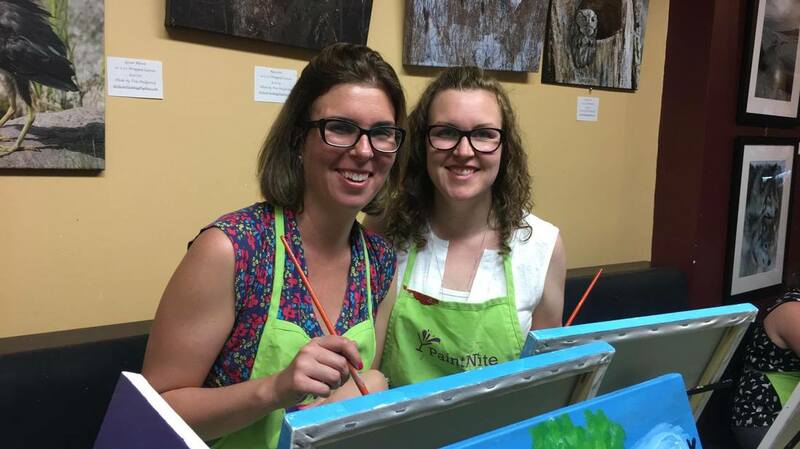 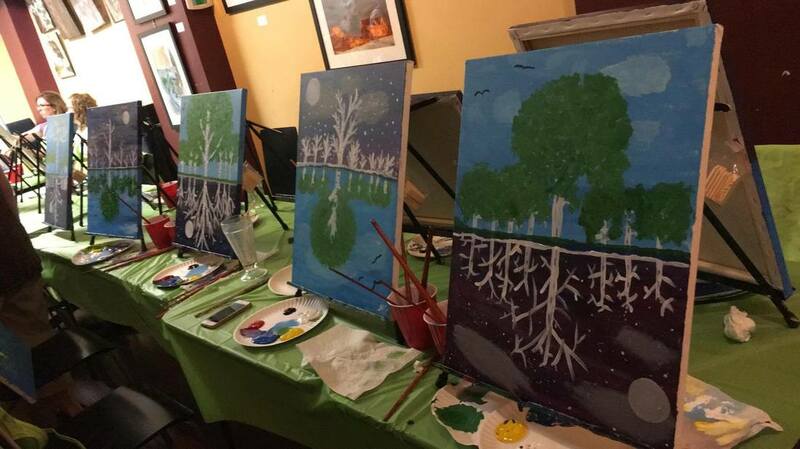 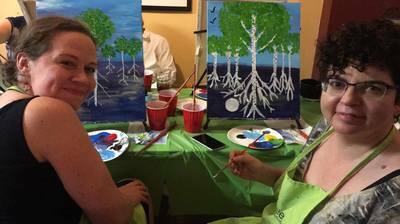 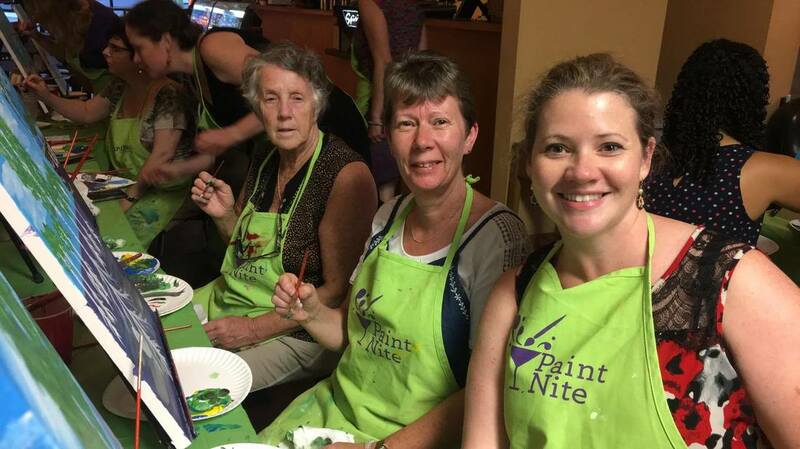 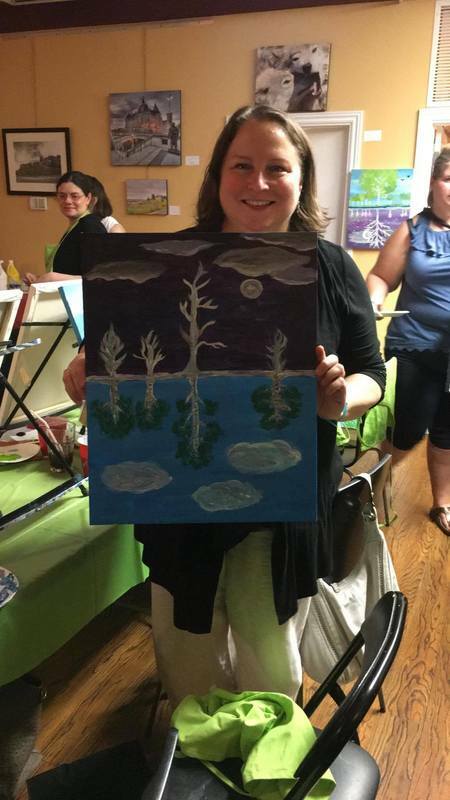 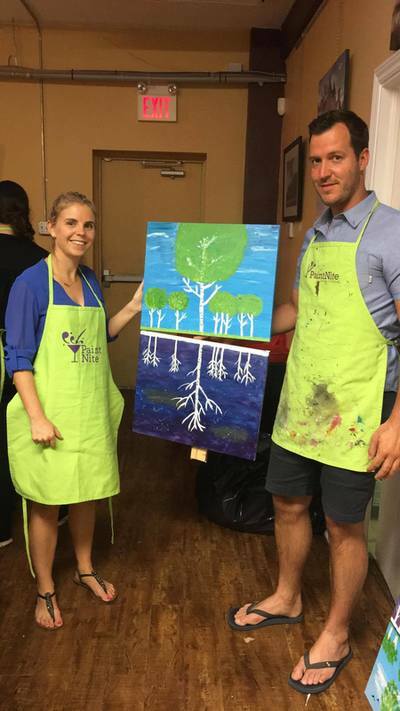 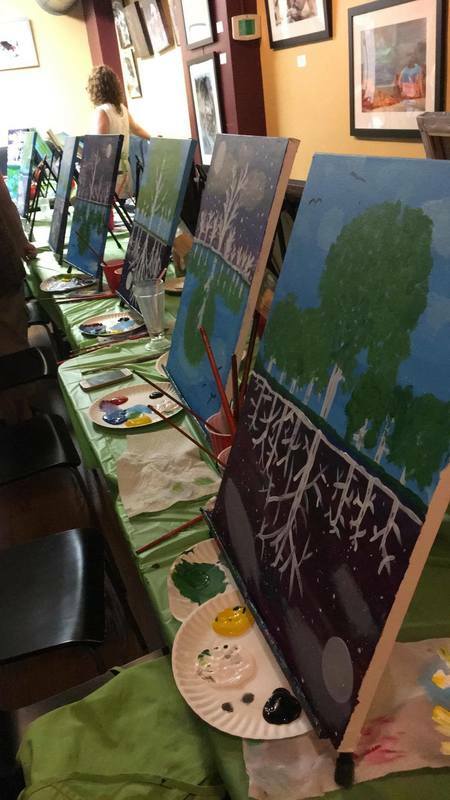 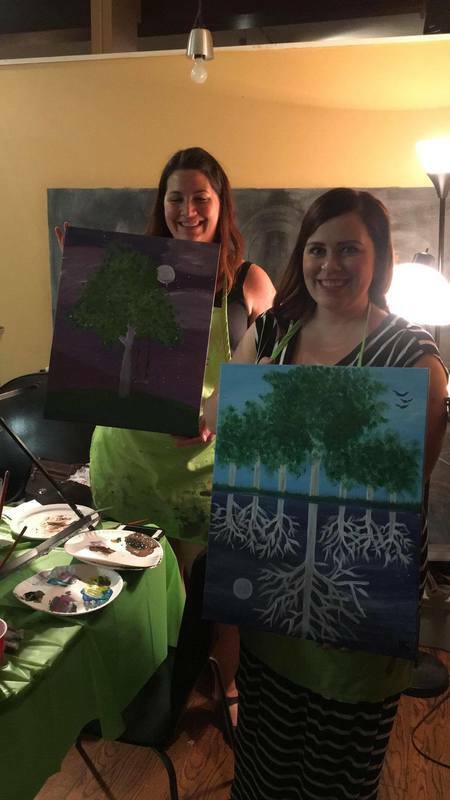 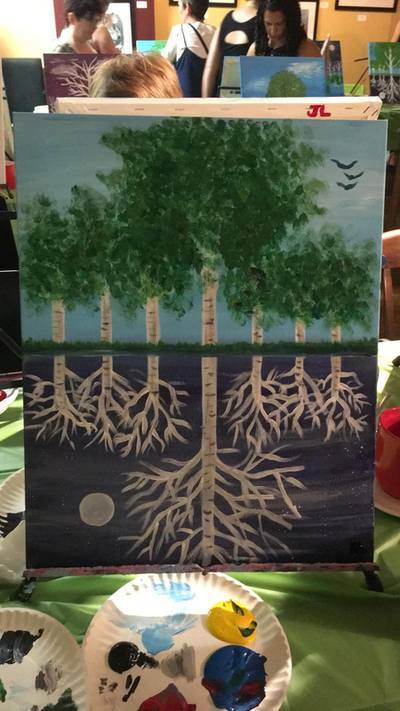 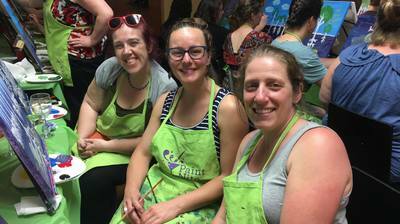 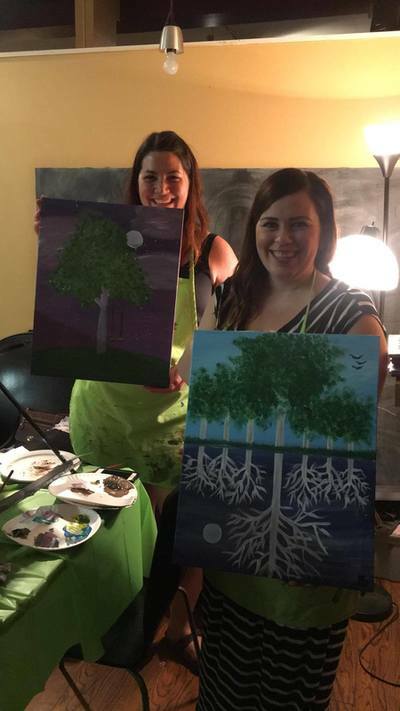 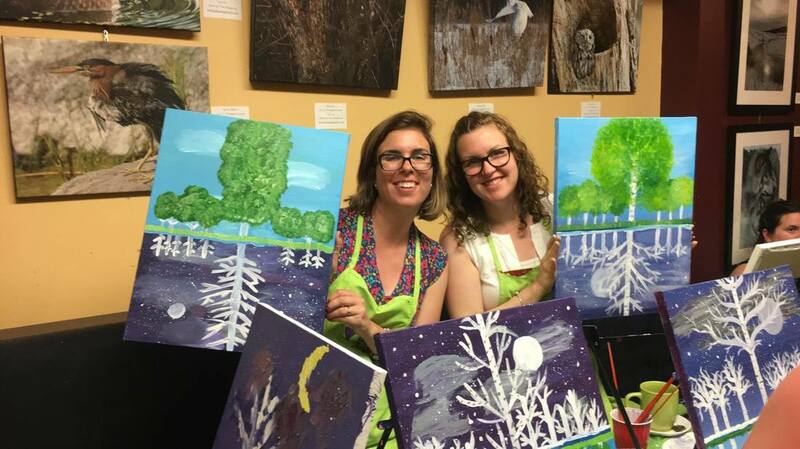 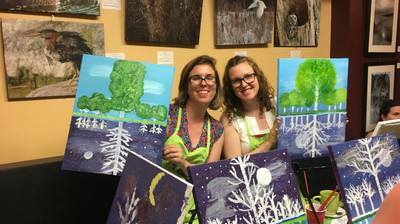 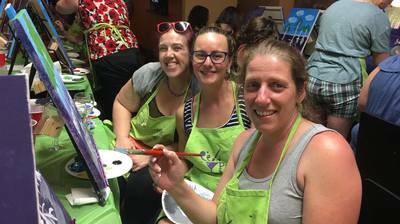 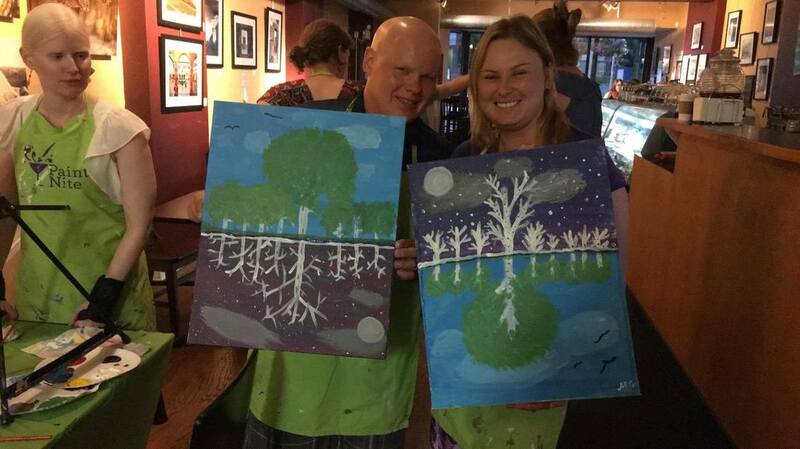 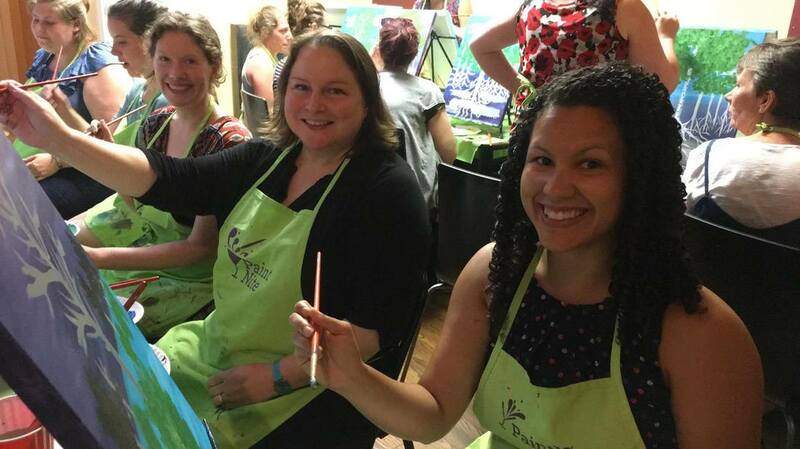 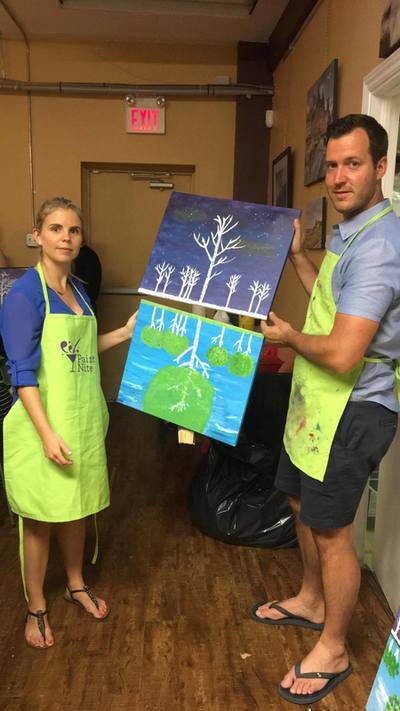 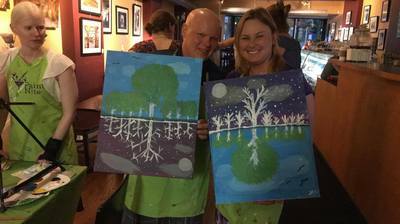 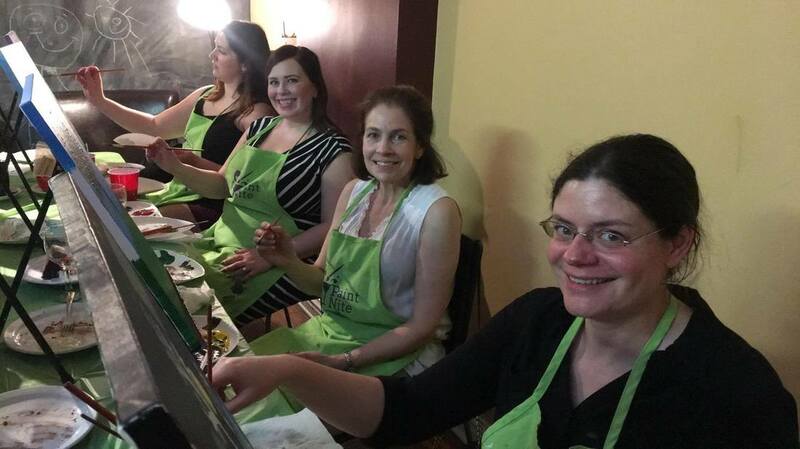 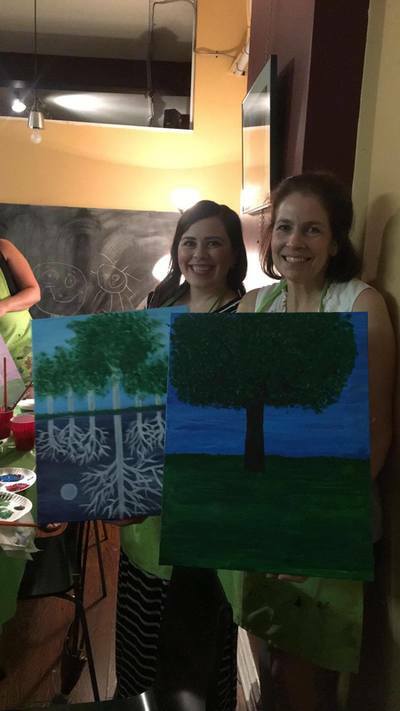 Thank you to our awesome instructor, Ena Lucia Mariaca, who led us through a very fun evening of painting! Thank you also to Oh So Good Dessert and Coffee House at 261 Richmond Road where in between brush strokes, were were able to nibble on our favourite goodies from their wide selection of delicious desserts!